Is Eating A Manta Ray Legal? 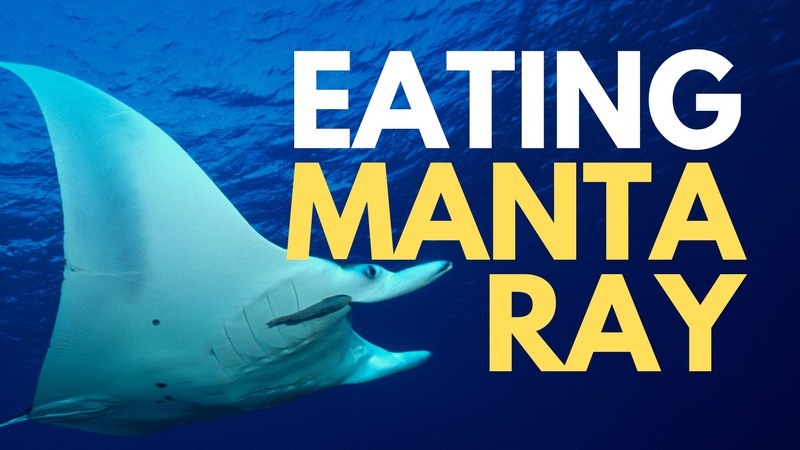 How Does Manta Ray Taste? While scoping out Vietnamese street food, my group had the “opportunity” to eat a manta ray. I’m not that adventurous of an eater, but under enough peer pressure I’ll probably do it. It’s okay to follow the crowd. After a Da Nang motorbike tour, my group joined our guides for dinner at a local restaurant to try Vietnamese street food…and manta ray. It’s becoming illegal due to over fishing. I guess that means it’s really popular. In Taiwan, eating manta ray is illegal. I couldn’t find out if eating manta ray is illegal in the U.S. since it’s a question no one really asks Google. I was extremely apprehensive about eating manta ray. But everyone else was doing it and I didn’t want to insult my hosts. They told me it was illegal in Asia to eat manta ray so I went for it. The taste and texture is very similar to cod. But it had that little extra spice of being illegal that made it tasty. Would I eat it again? With enough peer pressure probably. But I won’t be going out of my way to get eat manta ray. The other food we ate was pretty good. Our guide showed us several different ways to open a beer bottle. She demonstrated how to open a beer bottle with a table, another beer and with a chopstick! That’s one of the most Asian things I’ve seen! Unfortunately though the beer was room temperature. In Da Nang, room temperature means HOT! Keeping beer refrigerated is expensive so they just serve the beer with ice. The ice is typically going to be chunks of frozen tap water so be careful with your stomach. I chose not to drink beer because I’ve ran into this issue before. My friend who drank the beer (with frozen tap water) had stomach issues the next day. So while my friend was sick, I decided to go shopping at Han Market for counterfeit clothing.